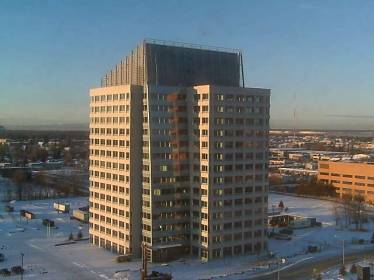 One of the newest Class “A” office towers in Anchorage, this building will be an important part of the larger seven acre development. The tower is comprised of a structural steel frame with an aluminum and stone panel exterior. The steel structure required over 19,000 pounds of ASTM F1554 grade 105 anchor rods to secure it to the foundation. The largest of these rods were 2-3/4 inches in diameter and almost eight feet long.